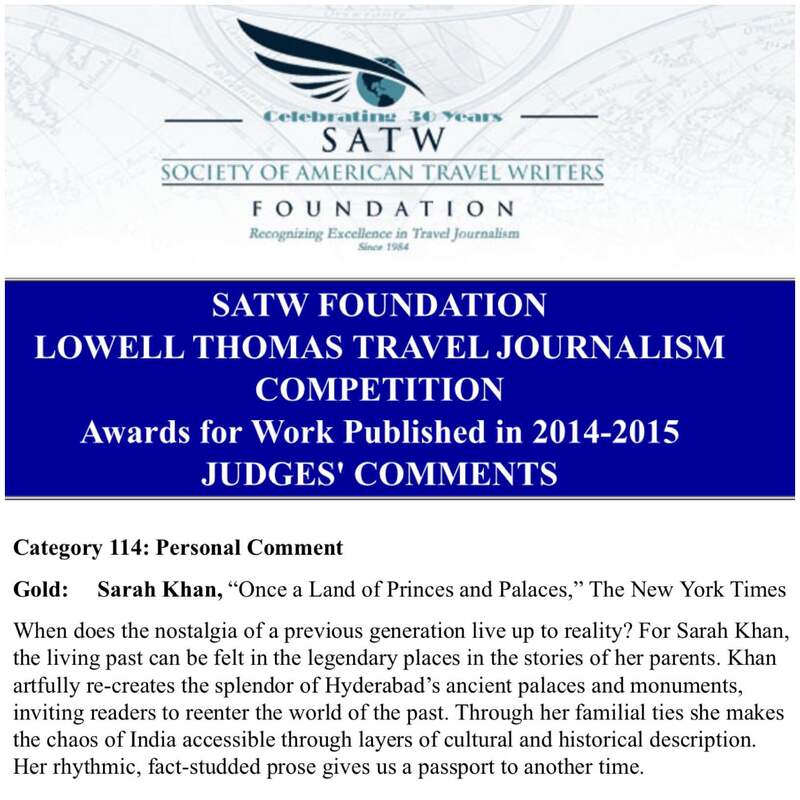 Last night I came home from dinner and saw a tweet that left me perplexed: apparently I’d won a Society of American Travel Writers Foundation 2015 Lowell Thomas Award, surgery a gold for the category of Personal Comment. I had no idea how that came about or how I was nominated, but I was beyond ecstatic — especially when I realized I won it for an article that’s particularly close to my heart, Returning to Hyderabad, Once a Land of Princes and Palaces. Thank you SATW for the honor, and thank you to my New York Times editors for letting me write this piece in the first place, and for nominating me for it! You can read a bit about all the winners here.